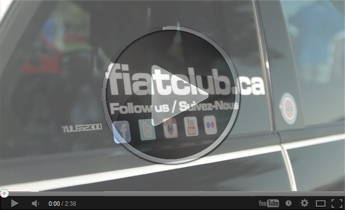 Welcome to Club Fiat Montreal's website. Our goal is to unite all Italian car owners (Fiat, Alfa Romeo, Ferrari, Lancia, Vespa, etc....) to organize outings and activities to create friendships, have fun and share our passion for Italian Motors. To become a member, please write to us by email info@fiatclub.ca .The membership fee is only 60$ per year.